CARCHEX 360 was developed to help automobile dealers boost their bottom line without any additional investment of money or time. CARCHEX contacts each customer on the dealer’s behalf, offering the dealer’s present warranty product suite. This not only strengthens customer loyalty, but ensures the customer returns to the dealership for maintenance and repairs. For each vehicle protection plan sold to a dealer’s customer, CARCHEX pays the dealer! CARCHEX delivers a persuasive campaign via multiple marketing methods on behalf of your dealership. Customer responds and CARCHEX communicates as a representative of the dealership. Customer buys a vehicle protection plan OR if they express interest but don’t buy immediately, a CARCHEX sales representative follows up. CARCHEX manages and fulfills each vehicle protection plan purchase. The CARCHEX Certified Program is designed to help you sell more vehicles, increase your gross profit and increase your customer ratification. 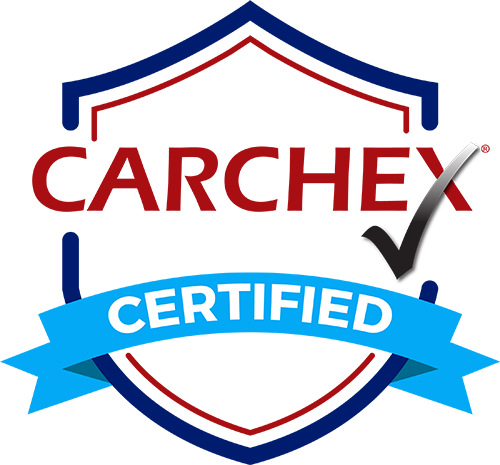 Offering CARCHEX Certified on all qualifying inventory gives you customers the confidence to buy knowing their vehicle is protected. A Dealer’s service lane often has missed opportunities when it comes to vehicle protection. This presents an ideal opportunity to inform customers that unexpected expensive repairs can be avoided with a vehicle protection plan. The main roadblock has been that service advisers are not trained to present the various plans available to a customer. However; CARCHEX 360’s Service Lane Vehicle Protection Program makes it simple to offer these options to the customer by utilizing our vehicle protection plan specialists. They are knowledgeable on each specific program available, which ensures proper customer satisfaction and provides the proper protection necessary for each customer. All the service adviser has to do is provide a warm turnover through the CARCHEX lead service which is located on their desktop. Wouldn’t it be great to remarket to customers whose current manufacturer’s warranty is about to expire and to those who choose not to purchase extended coverage during the initial sale of the vehicle? Now you can. 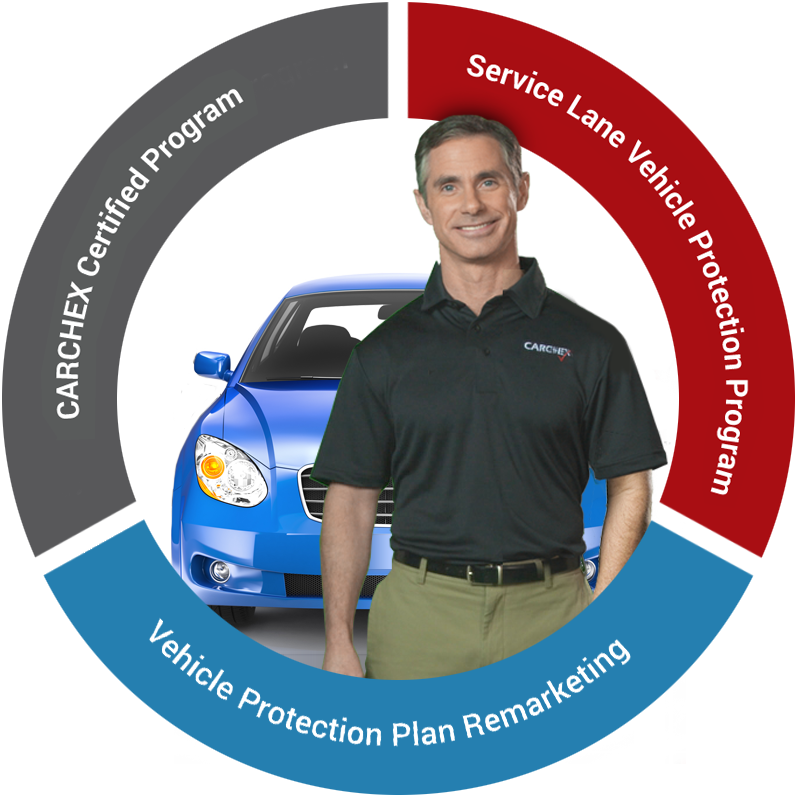 CARCHEX has designed a Vehicle Protection Plan Remarketing Program to identify and sell Vehicle Protection specifically to these customers who see value in protecting their vehicles. It will provide follow up to those whose warranty is nearing expiration, preventing any lapse in protection, and also to all of those missed opportunities during the initial sale of the vehicle. CARCHEX extracts customer’s information from the Dealer’s DMS and places it in a secured database. We utilize our best in class call center with knowledgeable, trained Vehicle Protection Specialists to consultatively sell vehicle protection plans and other F&I products on your behalf.